With many horses stabled and given limited time outdoors during winter, it’s time for them to remove their blankets, stretch their legs and breathe a sigh of relief. Routine checks should be carried out to ensure they’re fit for leisure and sporting activities before they’re let loose. Our experts recommend if you’re bringing your horse back into work or getting them ready for the competition season, then arrange for your horse to be checked over by a qualified equine osteopath or equine physiotherapist to ensure they are pain-free. Ask your physiotherapist about appropriate strengthening exercises you can incorporate into your horse’s fitness plan. 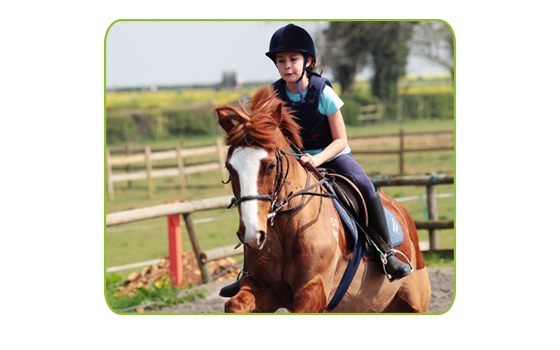 Also, as your horse changes shape and condition, ask a qualified saddle fitter to check the fit of your saddle. Address these issues and you and your horse will be ready for many happy rides! We can’t highlight the importance of good farriery and hoof care enough, particularly if you have recently increased your horse’s workload. Correct hoof balance is vital to maintaining your horse’s soundness, as it helps to dissipate concussive forces (ground reaction forces) up through the hoof and limb as the hoof strikes the ground, and aids the biomechanics of the horse’s movement. Poor hoof balance/conformation can lead to problems such as navicular syndrome, pedal otitis, ligament and tendon injuries, and osteoarthritis. Does the angle of the horse’s hoof wall (dorsal hoof wall) match the angle of the pastern? Is the angle steep or sloping? Does your horse have low weak heels? Does your horse have a flat, thin sole? Are the front/hind hooves the same size/shape? If the slope of the hoof is greater than the slope of the pastern, the horse is said to have a broken-back hoof pastern axis. This changes the breakover of the hoof and alters the horse’s stride. Often the toe grows too long and as a result the heel becomes pushed forward (long toe/low heel conformation). Talk to your farrier about your horse’s hoof balance and discuss the best options for managing your horse’s hooves to maintain long term soundness.